The Panasonic range of domestic and commercial air conditioners are at the forefront of mass produced air conditioners across the world and recently Canstar Blue awarded Panasonic with a 5 star “Most satisfied customer” award for 2014, 2016 and now 2017. 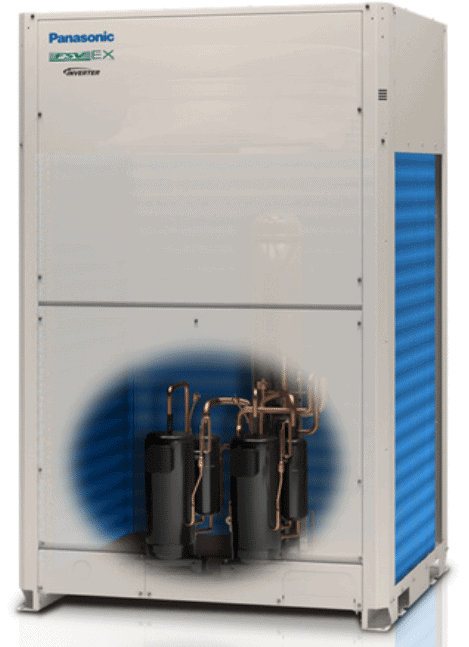 Whilst they are heavily recognised for their massive domestic range of Wall splits, Cassette air conditioners, Under ceiling units and of course the ducted range, it is perhaps their advanced FSV (otherwise known as VRF) units that impress us here at Allen Air and Refrigeration the most. Connect one or multiples of these outdoor units together (depending on your capacity requirements) and pipe to any number of selected indoor model variants to condition your home, office or apartment complex. 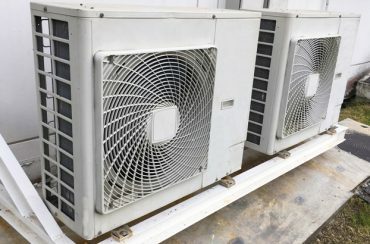 3 pipe air conditioning design – “3 pipe” is the term used to describe the design of a system that will allow both heating AND cooling to occur at the same time. 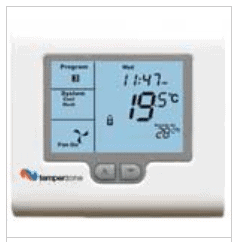 It is a little dearer to purchase and the installation, having more pipework and labour costs, is also dearer. 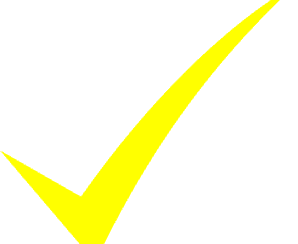 However, for any site where there would be different heat loads expected it is ideal. Picture the sun hitting glass windows on the east side of a building in winter. The solar gain can result in this side of the building needing cooling even though its 16 degrees outside. Meanwhile, the west side which is in the cold shade is very cold after low overnight temperatures. So, the west side could need heating at the same time. This is where a 3 pipe FSV system stands on its own for air conditioning design flexibility. 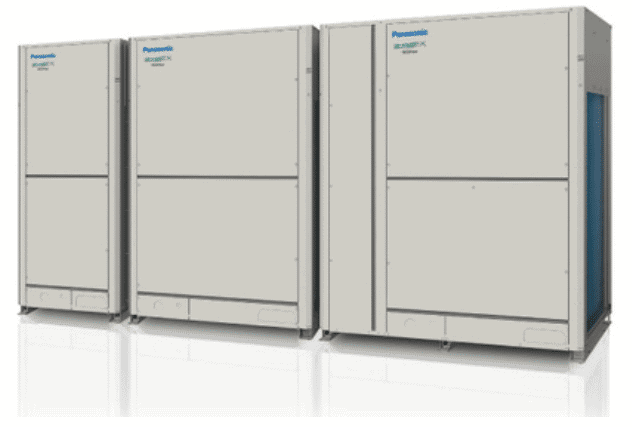 Why buy a Panasonic FSV (VRF system)? Connectable indoor units include ducted, 2 and 4 sided cassettes, wall mounted, under ceiling and floor mounted console. Want to know more about Panasonic air conditioners?If you feel that a Panasonic A/C would complement your home or office, Call us now for an obligation free quote.